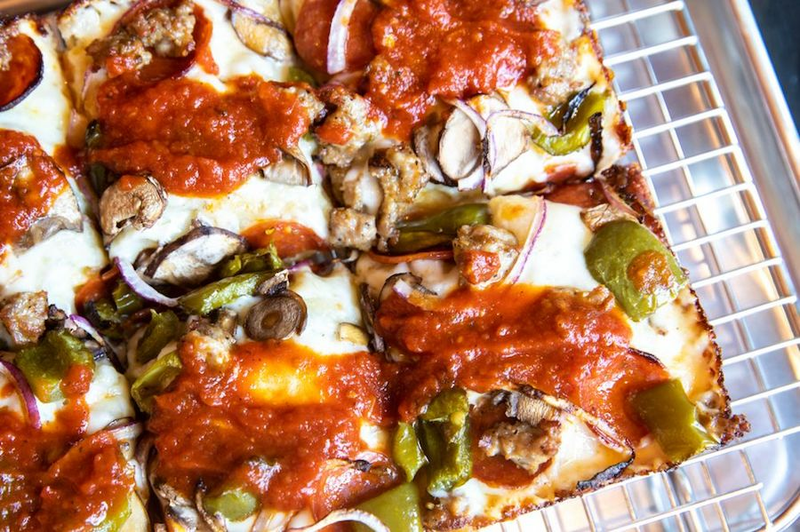 Pizza fans, take heed: there's a new spot in town to get your fix. The new addition to Wrigleyville, called Union Full Board, is located at 3473 N. Clark St. in the Wheelhouse Hotel. The full-service restaurant comes from the group behind Union Pizzeria in Evanston and Union Squared in Revival Food Hall, the Chicago Tribune reports. Expect small and large plates, appetizers, Detroit-style square-cut pizzas and sandwiches. Look for signature pies such as Burrata Margherita with fresh mozzarella, tomato sauce and torn basil; the Greektown Spinach with garlic, Kalamata olives, tomato, feta, mozzarella and brick cheese; and the Nickel City Redhot with Buffalo chicken, blue cheese and red onions. Here's the full menu. Weekend brunch, cocktails, beer and wine are also on offer. The newcomer has garnered rave reviews thus far, with a 4.5-star rating out of 16 reviews on Yelp. Robb S., who was among the first Yelpers to review the new spot on Oct. 4, wrote, "The atmosphere was very good with friendly staff that were very accommodating. The pizza was excellent also and I am usually not a fan of pan-style pizza. It was light and fluffy and tasted great." David R. added, "Great Detroit-style pizza. The sauce and cheese were phenomenal! Friendly staff and a great wine list. This will be our new local pizza joint." Intrigued? Stop in to try it for yourself. Union Full Board is open from 4-11 p.m. on weekdays, 11 a.m.-11 p.m. on Saturday, and 11 a.m.-10 p.m. on Sunday.